The 23-year-old joined Inter in the summer on a season-long loan deal from AS Monaco and has since scored four goals in 17 Serie A appearances. Although Keita’s only started seven league games this term with manager Luciano Spalletti preferring to stick with Mauro Icardi, Ivan Perisic and Matteo Politano up front for his 4-3-3 system. Now Inter have a statement confirming that Keita’s thigh injury and revealed that he will be reassessed next week. 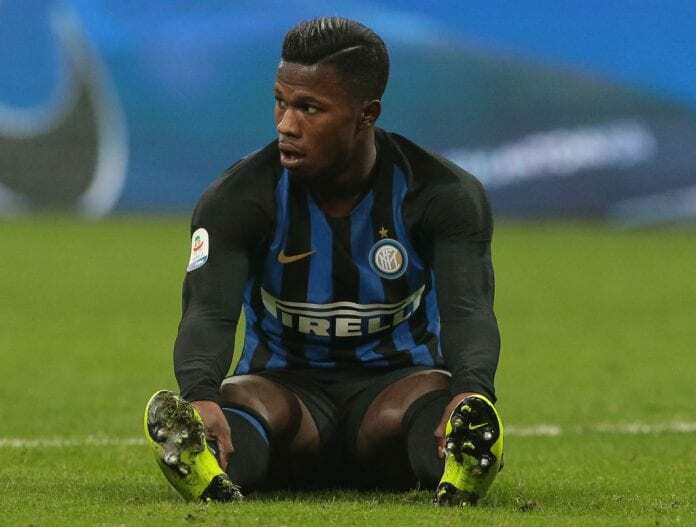 “Inter forward Keita Balde underwent an MRI this afternoon at the Istituto Clinico Humanitas in Rozzano following a muscle problem in training,” read a statement on the club website. This setback could see Keita sidelined for up to three weeks which will rule him out of Inter’s Serie A games against Sassuolo, Torino and Bologna along with a Coppa Italia tie with Lazio.